Fly Like An Eagle: Site Picks The Best Aerial Drone Photos : The Two-Way An eagle soars above a park in Indonesia. A waterfall in Mexico is seen from high above. Those are two of the best images taken by aerial drones, according to an online contest. 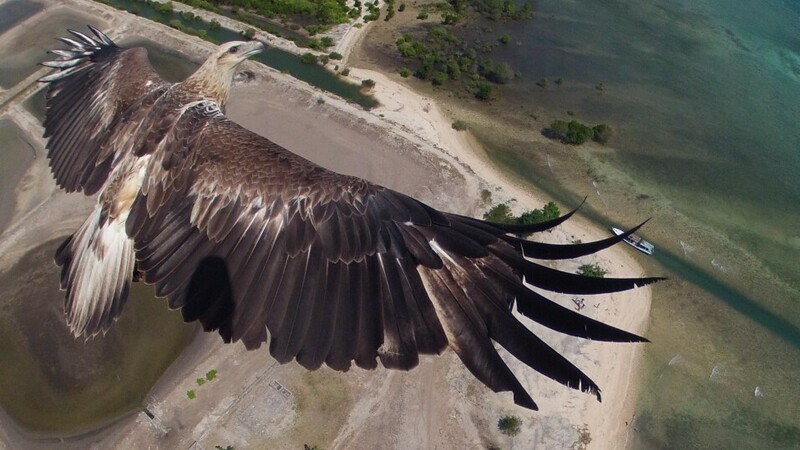 An eagle flies over Bali's Barat National Park, in this award-winning image taken by a camera attached to a drone. An eagle soars above a national park in Bali, Indonesia. A waterfall in Mexico is seen from above its shelf of cascading water. Those are the top two finishers in a contest held to find the best images captured by cameras mounted on aerial drones. The winners were recently unveiled by the site Dronestagram. 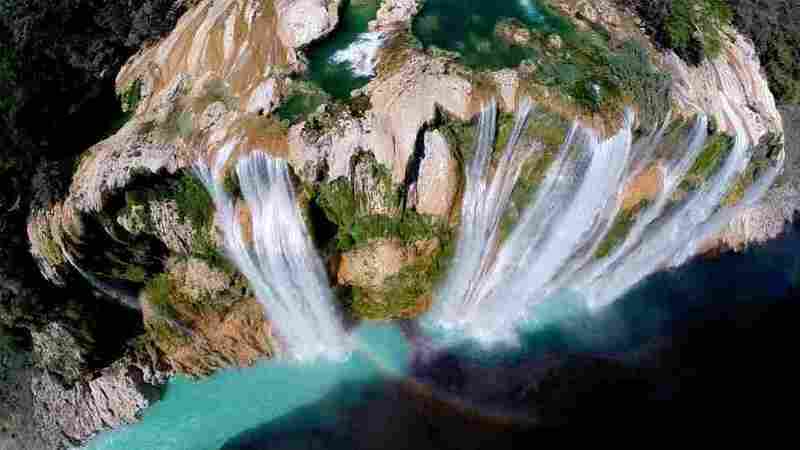 The Tamul waterfall in San Luis Potosí, Mexico, is seen in this image taken with the help of a drone aircraft. The water reportedly falls more than 340 feet. The website chose winners by two methods: a juried competition, and the images' popularity among the site's visitors (see the top three images in each category). The contest was sponsored by National Geographic France. 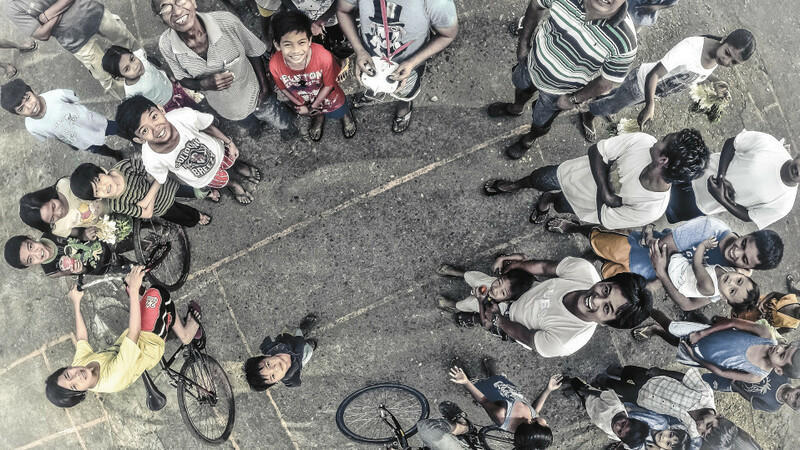 One image, taken at low altitude in Manila, Philippines, captured the smiles of kids and others watching a drone hover above them. The drone operator who took this photo normally takes images from far above this height. But a trip to a park in Manila drew a crowd. "Went back to my hometown in the Philippines," the photographer, identified as jericsaniel, wrote. "I was flying in the park one Sunday morning when suddenly people had become really interested with my drone." Another image captures the sunset over the picturesque French town of Annecy, south of Geneva, Switzerland. 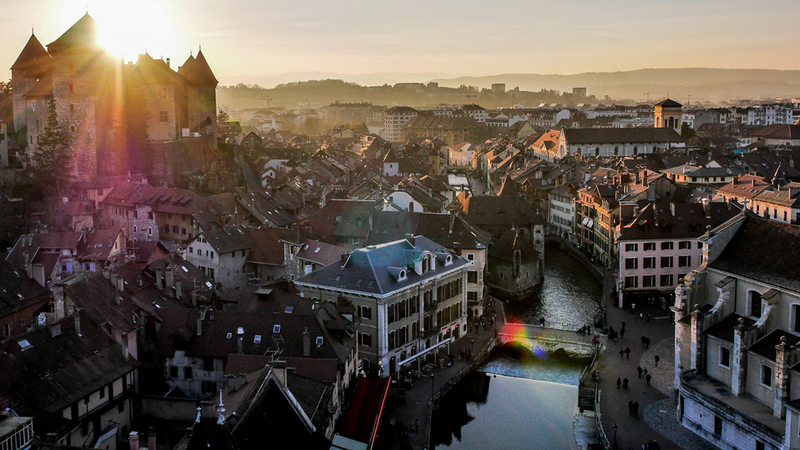 The sun sets behind the buildings of the old city of Annecy, France.